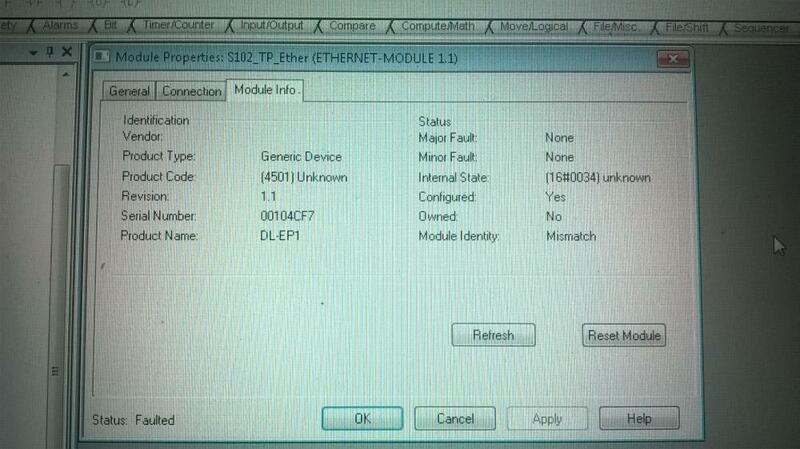 I have a problem with dl-ep1 ethernet modul. I connected the module to a IL-1000 sensor amplifier. There is some problem with the communication. How should I adjust ? I made some pic about the trouble. The sensor is a IL-600 laser distance sensor. I dont know yet how can I get the actual value. 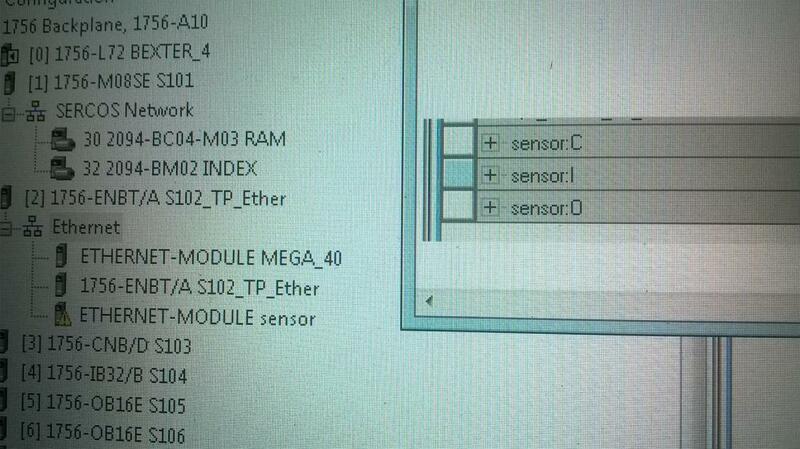 Anybody knows how to set this modul ? If I think correctly after the right setting, if I check the sensor output:0 then, I can see the actual value of the IL-600 sensor. 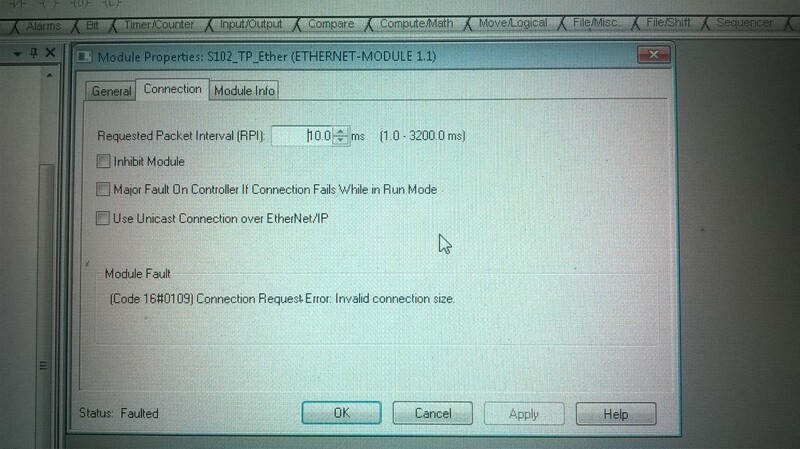 But unfortunatelly this part also not so clear for me, because I can connect about 15 sensor this ethernet modul. Thank you so much if anybody help. Your Data Type is wrong. Delete from tree and re-add the module correctly. How do you mean is wrong ? Not dint just int ? BTW thank you for your reply. The example in the manual tells you DATA - INT not DATA - DINT. The manual also tells you that you can have 8 of the IL-s per DL, so if you want 15 ILs you will need another DL. Read the manual and look closely at the pictures. Your own live pictures are telling you that the data table sizes are mismatched and thus preventing them from communicating. 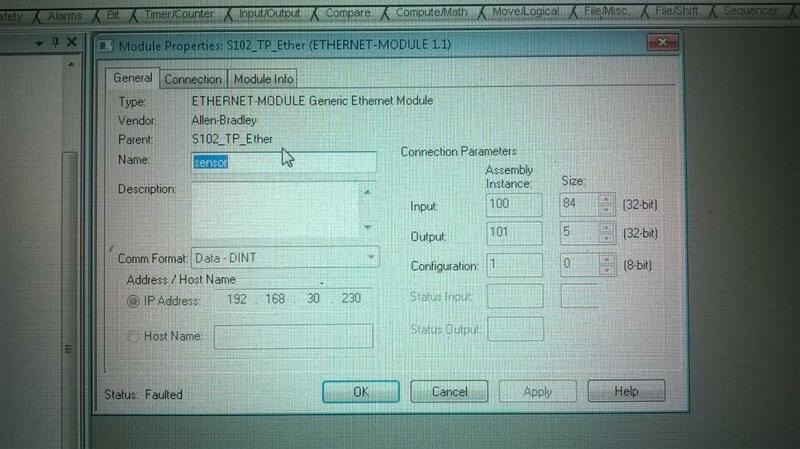 The PLC is trying to read and write to data areas outside the capability of the DL memory tables.